4.5 out of 5 based on 19 bloggers and 1 commenters. 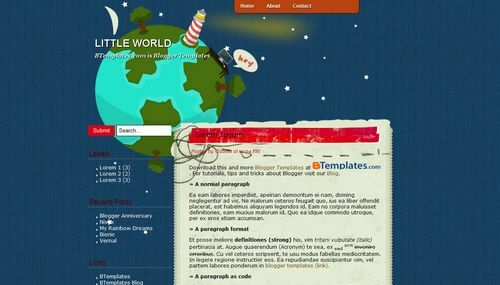 Little World is a free blogger template adapted from WordPress with 2 columns and left sidebar. I am definitely saving this for the future. This is so cute. I can’t believe this doesn’t have comments already!